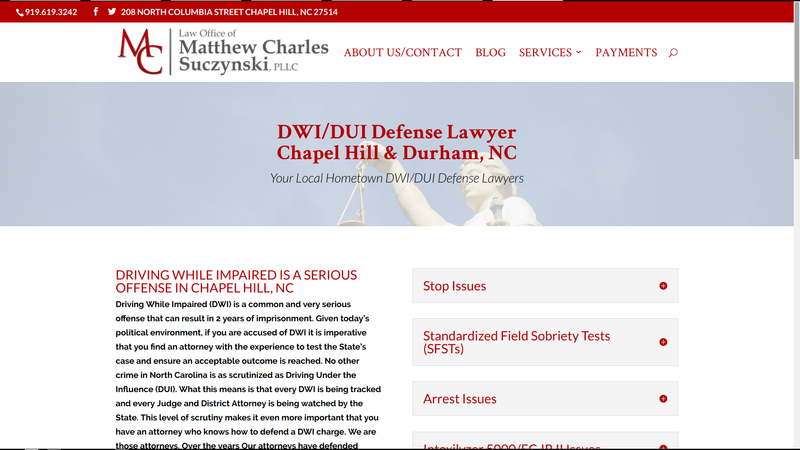 We here at Oak City Technology were tasked with taking an outdated website and turning into a mobile SEO powerhouse. The client requested that their new website be a champion of modern web design while keeping true to their humble roots as local attorneys. 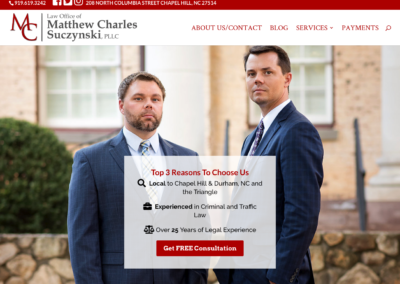 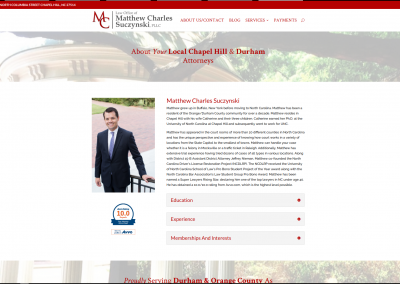 Our talented and highly experienced designers developed a modern, clean website that represents both Matthew Charles Law’s brand and legal services. 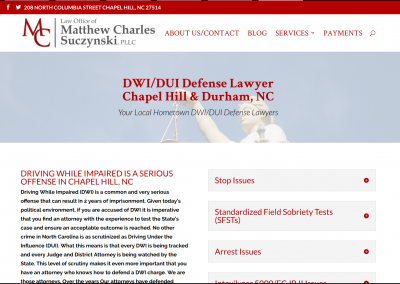 The website was built to be mobile friendly above all else and optimized for mobile users. 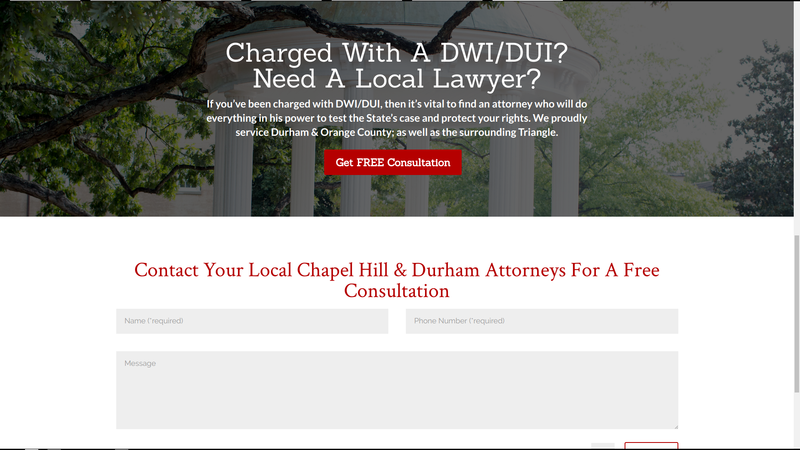 It functions flawlessly on all devices while keeping the important information at the forefront of the user experience. 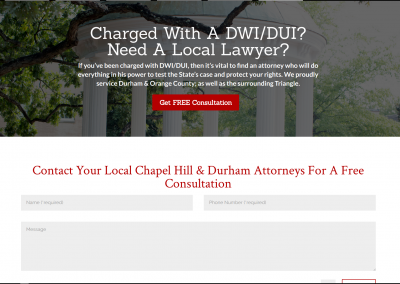 Finding the help you need is a click away with legal services available via the navigation menu or search bar. 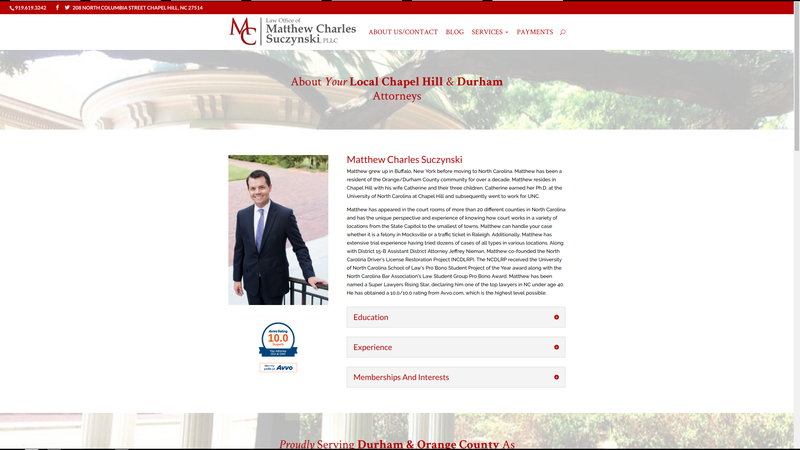 Focusing heavily on local SEO, we were able to develop a lead generating website that brings in qualified leads.